Urine color justifies your health status. Yes, You heard it right!! You may not realize but the color of urine helps in diagnosis certain medical conditions like dehydrated body, Urinary tract infection, Kidney stones, etc. When you pee take a look at its color then you can understand what your body needs. For a diabetic patient, it is much more necessary to examine the color of urine by themselves when their body gets dehydrated and get drawn for drinking water to make their body hydrated. In a simplified way, the color of your urine can tell you how much hydrated your body is, though many people rely on the feeling of thirst as a signal to tell them they should drink water or not. The urinary system is the only system by which we get rid off toxins, minerals from the body. Urine is formed of 95 percent water and rest is sodium, potassium, urobilin creatinine, dissolved ions and many other organic compounds. When you drink less water your urine gets more concentrated, due to highly concentrated urine there are more chances of getting urinary tract inflamed. More unusual color of urine can be due to external factors like food, medications, food dyes and certain medical conditions. You must have noticed your morning pee is somewhat different in color as compared to day urine. Not only the thirstiness but also the number of other health conditions change the color of your urine. Transparent yellow urine color is normal urine. Your internal body function is going fine. If you notice your urine color dark Yellow which signifies that your body is okay, but needs to be hydrated soon. When your urine color is ambered or just like the color of honey then your body is dehydrated. Cue to drink water to keep your body hydrated. No worries with the pale straw color. It means you are well-hydrated and body is healthy. Probably this color appears due to carotene present in the food you might have had most recently. Foods like beetroots, carrots, rhubarb, or blueberries which are pigment rich. Beetroot contains betalain pigment which gives it a rich color and also can change urine color to pink or red. If this does not a case with you then reddish urine color could be due to infections(UTI), or any tumor, or prostate problems, or kidney issue. Consult your doctor as soon as possible. Brown color may be the sign of potential liver disease or severe dehydration. This is the body call to drink plenty of water as early as possible. Many factors can change urine color to browns like food dye or medications like rifampicin(used to treat tuberculosis), or laxative medicine containing Senna. The orange color of urine represents potential dehydration or poor liver health or specifically bile duct issues. Contact a doctor if it persists. This might also be a food dye. Yes, this could also be the case when you are more than hydrated enough. You should drink water in moderation because more water drains out the required minerals like sodium or potassium from your body. Due to this, there might be an increase in your blood pressure. Foamy appearance of urine could be the sign of kidney problems or excess protein intake. Contact your doctor if it happens regularly. Blue or green color of urine could be due to effects of medication or a sign of bacterial infection or a rare genetic disease. Infection like urinary tract infection and kidney stone can make your urine cloudy or blue. It might also be caused due to food dye. Contact a doctor if it persists. Here are few hand-picked articles for you to read. I am a professional Blogger, a medical pharmacist and currently working in US healthcare firm. I love to share my knowledge through my articles. 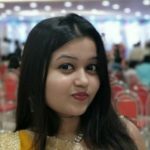 I write about good and healthy lifestyle, fitness, medical therapies, beauty enhancing remedies, motivational articles, autobiographies and new trending vibes. I live in Mumbai (India). I love interacting new people. My hobbies reading novels, articles, playing indoor games and cooking.